What is Galaxy S5 camera voice control? You can use your voice to take photos with Galaxy S5 camera. In other words, whenever it is inconvenient for you to tap the Galaxy S5 camera button or the screen, you can use Galaxy S5 camera voice control to take photos. So, in a nutshell, Galaxy S5 camera voice control means using some voice commands to take photos or record videos in your Galaxy S5 camera app. 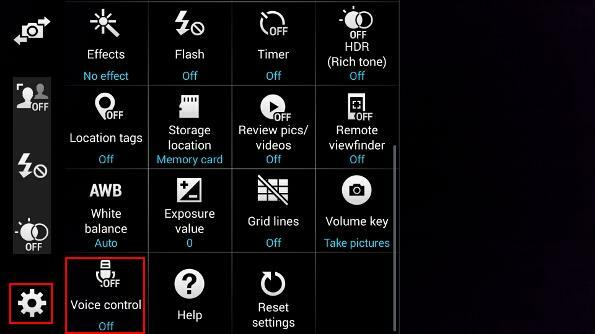 How to enable/disable Galaxy S5 camera voice control? By default, voice control is not enabled in your Galaxy S5 camera app. You can enable it by following these steps. Step 2: Tap settings icon as shown below. Step 3: Scroll down the setting screen. Galaxy S5 camera app has many setting items. The voice control is in the second page. Step 4: Tap Voice control icon as shown above. If it is currently off, tap it once to enable the Galaxy S5 camera voice control. If it is currently on, tap it once to disable the voice control. What are the acceptable voice commands for Galaxy S5 camera voice control? You can use any of them to take photos in camera app. 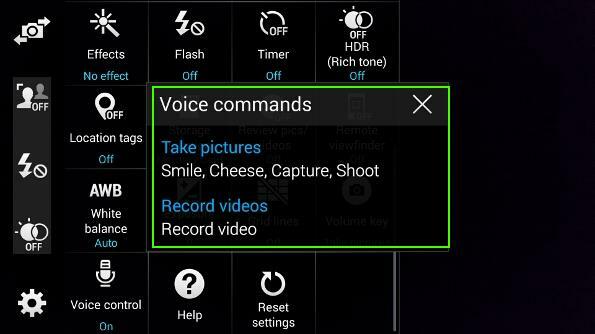 To record videos, the only acceptable voice command for Galaxy S5 camera voice control is “Record video“. How can I know whether Galaxy S5 camera voice control is enabled? 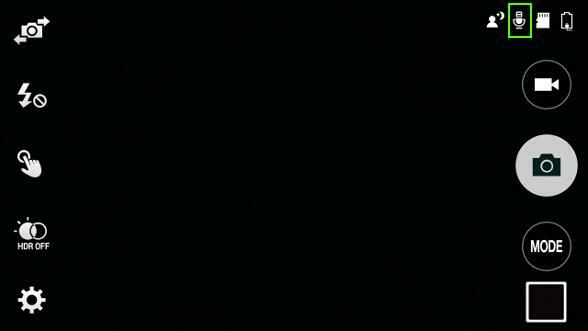 Once you start the camera app, you can find out immediately whether the Galaxy S5 camera voice control is enabled or not by checking the microphone icon as shown below. If the microphone icon is present, it means the Galaxy S5 camera voice control is enabled and ready for use. If there is no microphone icon, it means the voice control is not enabled. Can I use customized voice commands for Galaxy S5 camera voice control? Galaxy S5 does not allow you to customize the voice command for Galaxy S5 camera voice control. This means you can only use the pre-defined voice commands mentioned above to take photos or record videos. Please also note, this voice control is only for the pre-installed camera app, not any other camera apps. Can I use Galaxy S5 camera voice control together with Google Now voice commands? Yes, you can use Google Now voice commands together with Galaxy S5 camera voice control. For example, you can use Google Now voice command to launch the camera app, then use Galaxy S5 camera voice control to take photos. Of course, if you only have one camera app in Galaxy S5, you can use Google Now voice commands to take photos or record videos directly. Can I use Galaxy S5 camera voice control together with S Voice? Can you use Galaxy S5 camera voice control to take photos or record videos now? If you have any questions or encounter any problems to use Galaxy S5 camera voice control, please let us know your questions or problems in the comment section below. Your can use Google Assistant. 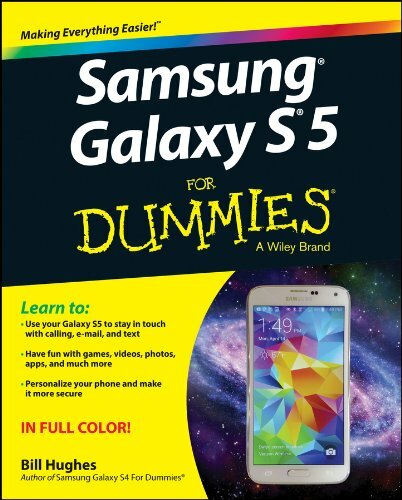 What’s the Android version of your S5?